Two months ago, I was searching for a perfect bright orange lipstick which I have seen many celebrities sporting at red carpet and promotional events. Girls who do not live in metros have very limited options to choose from and the same case was with me. I didn't have many options for matte orange lipsticks. 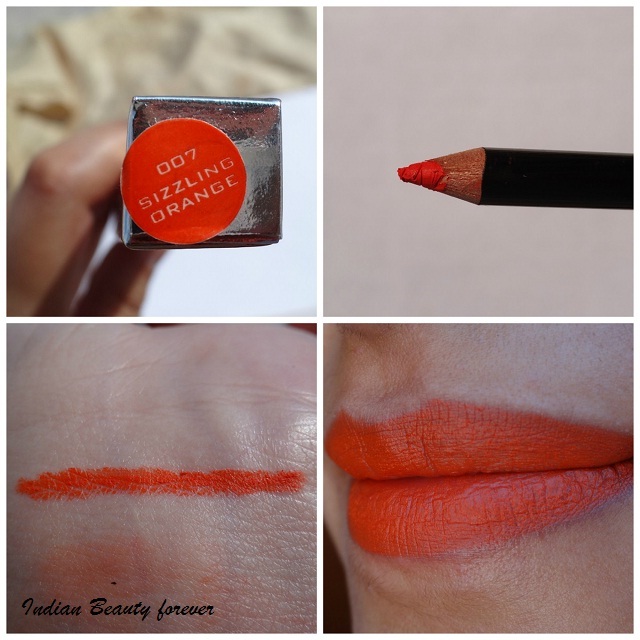 So one fine day I picked up a Colorbar Lip liner in Sizzling Orange instead of a Lipstick. Read more to know why. 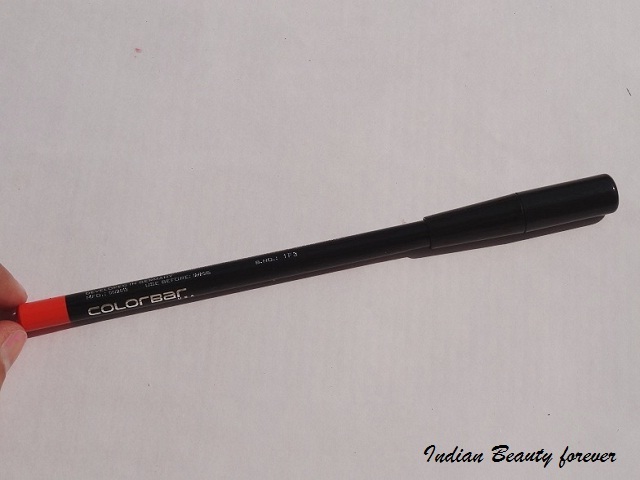 Price: Colorbar Lip Liners are priced at 550 Rupees and comes in more than 7 shades. Brand claims: Here comes a perfect partner for your lipstick that keeps it in place for an all day look. This waterproof magic lip wand works as fabulous lip filler which makes a proper matte base for your lips. The innovative refined formula follows and outlines the lip contour with an adjustable coverage and does not smudge. 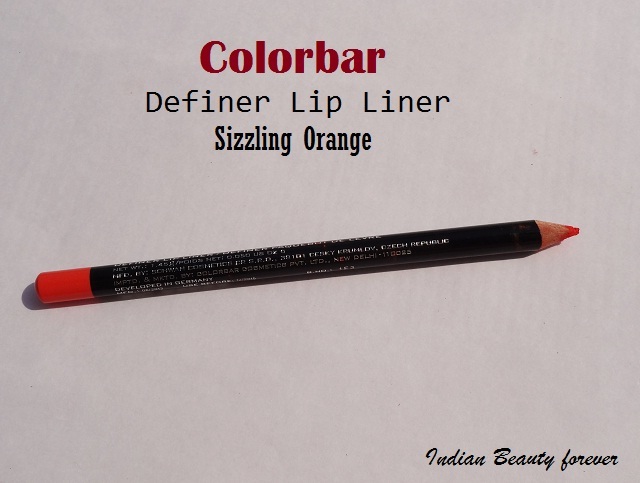 Packaging: Colorbar lip liner in Sizzling Orange is a wooden black colored pencil comes with a tight cap which includes a sharpener. The sharpener makes the pencil very long and bulky that it can’t fit into a small bag. Experience: I went Lakme, Maybelline, Loreal , Max factor counters to see bright orange lipstick in matte but couldn’t get the right color. 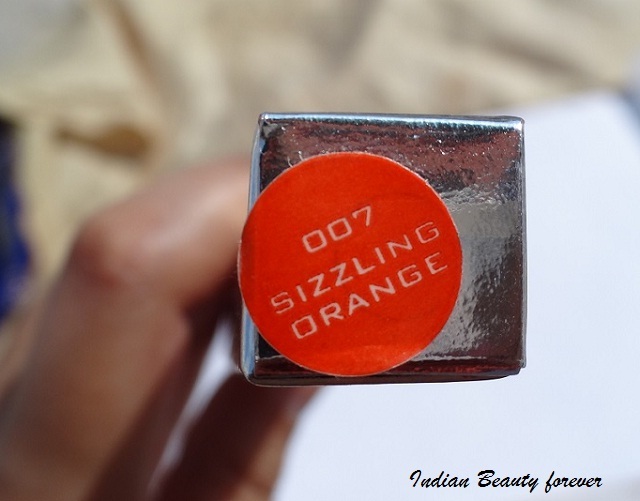 I really liked Lakme 9 to5 Saffron point but it had shimmers so, I had to drop that option. Then, I saw Maybelline bold matte range but it had glossy finish and I was looking for the complete matte finish. After checking at every single counter in the mall. I left hope and decided to get pink lip liner in the shade Summer Pink from colorbar counter. SA showed me all the colors and those shades had this color called Sizzling Orange. 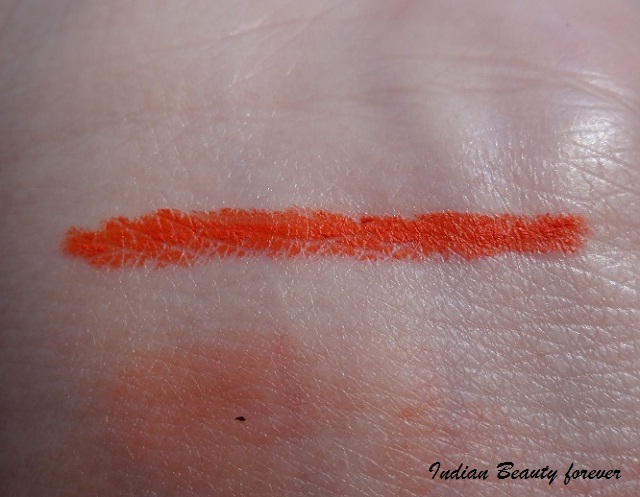 When I saw its swatch on my hand I found my perfect matte orange and immediately asked to pack it and headed over to the billing counter. I dropped Summer pink as I was already having very similar shade from the Colorbar TakeMe As I Am range (Tango Pink). Product Quality & Texture: Being a lip liner Colorbar lip liner in Sizzling Orange also has matte finish as like any other lip base. I got this in winters and that time I found it really hard to apply but now in summers, it has become creamier and give nice smooth stokes. 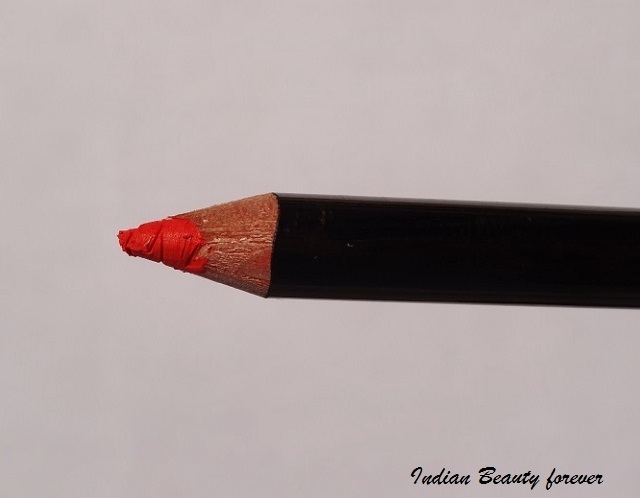 But it’s not as creamy as the Lakme 9 to 5 lip liners (I have it in 3 shades). I apply it as a lipstick on my entire lips but before applying, I would put some lip balm underneath or Lakme 9 to5 lip liner in Beige Pink which is a n*de color. If you want to apply it as a lipstick then you need to have some moisture underneath else it won’t give you very smooth and soft strokes rather it would become patchy. This shade is well pigmented but the only problem I face is, its not so creamy texture. 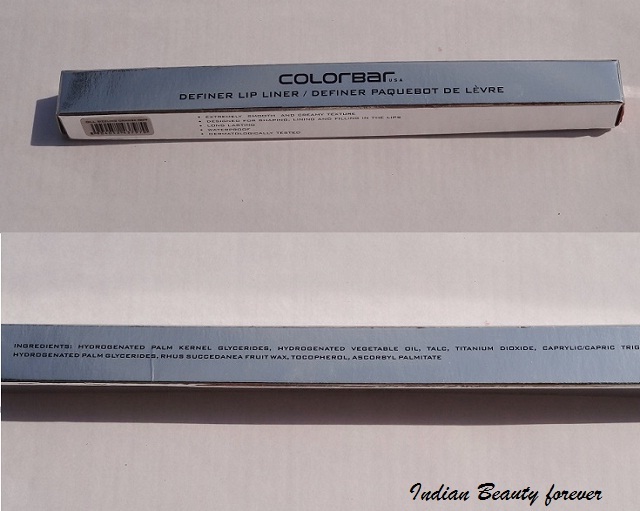 These Colorbar Lip liners come in so many attractive colors that one could not resist buying them though Colorbar has increased price of many of its products including these lip definers. It was Rs. 550 earlier and now it’s Rs. 600. Final Take: Sizzling Orange is a perfect summer color which I would love to flaunt this summer. You can use it as a base for any orange lipstick or gloss. If you are a bright lip lover then get some of these because we do not have many options in lip liner range as we don't have many brands that has given us such bright and vibrant shades. I am talking about the easily accessible brands like Revlon, Lakme, L'Oreal, Maybelline that have their products in almost every city.